Only 30 condo units have sold so far for October 2017 compared to 50 units during the same time Oct 1-21, 2016 in the Jersey City downtown area. The average sold price for October is $861,264 compared to $814,812 in 2016. The average days on the market is 21 compared to 25 in 2016. Two units sold at Shore Club South 20 Newport Parkway this month. The highest sold price was $1,140,000. The highest $ paid per sq. ft. was $939.28. Two units sold at the Mandalay 20 2nd Street, Jersey City downtown. The highest price paid was $685,000. The highest $ paid per sq. ft. was $992.59. If you’d like to find out the value of your Jersey City downtown condo call Janice Hall at 201 232 8577. The average price per sq. ft for condos sold at the Mandalay on the Hudson building so far for this year is $906. 3 of the 6 condos closed this year sold above the average. Unit #2005 which closed earlier in May sold for $997 a sq. ft, that is $672,000 for 674 sq. ft with 1 bedroom, 1 bath. 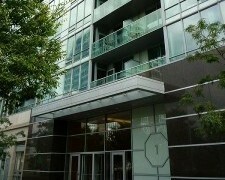 In April condo #204 sold at $917 a sq. ft. or $664,000 for 724 sq. ft. Unit # 2001 fetched $1,042 a sq. ft or $625,000 for 600 sq. ft. back in February. Both condos had 1 bedroom and 1 bathroom each. Mandalay on the Hudson is located at 20 2nd Street in downtown Jersey City. Interested in knowing the market value of your Jersey City condo? Call Janice Hall at 201 232 8577. Earlier this month unit # 502 an 1104 sq. ft. condo at the Mandalay building 20 2nd Street Jersey City downtown sold for $955.25 per sq. ft or $665,812. The condo was on the market for 22 days and closed at $25,000 less than its list price of $950,000. 7 units have sold so far this year in this popular waterfront building. The average sale price is $921,544. The average days on the market 21. The highest price paid for a condo at the Mandalay in 2016 was $1,326,000. The Mandalay boasts New York views and amenities such as large outdoor pool, community room, exercise room, 24 hr doorman and is about a 10 minute train ride to NYC. Need to know what your Jersey City downtown condo is worth? Call me Janice Hall at 201 232 8577 or email janiceNJrealtor@gmail.com. The average price per sq. 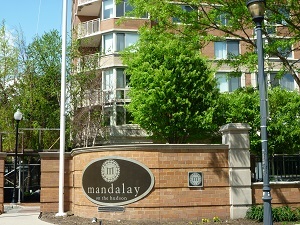 ft. at the Mandalay building Jersey City downtown is $795.49. If you would like to know what your Jersey City downtown condo is worth call Janice Hall at 201 232 8577. For the month of August three condos have sold so far at the Mandalay on the Hudson, 20 2nd Street, Jersey City downtown. The average price per sq. ft. for those sold was $805.75. $828.72 was the highest per sq. ft. price, achieved for unit # 2004 – a 724 sq. ft. one bedroom condo that sold in 4 days for $600,000 some $5000 above its list price. Unit # 2209 fetched the highest price of the 3. It sold for $1,187,000, just $12,000 short of its list price. The 1450 Sq. ft condo had 3 bedrooms and 2 baths. Unit # 2502, an 1104 sq. ft. unit fetched $850,000 and a price per sq. ft of $769.92. The 2 bedroom 2 bathroom unit went under contact in 18 days, its asking price was $860,000. In July the average price per sq. ft for condos sold at the Mandalay, Jersey City downtown was $818.57. If you’d like to know how much your Jersey City downtown condo is worth call me Janice Hall at 201 232 8577. 64 condos were reported sold in Jersey City downtown in July compared to 75 in June. Crystal Point, 2 2nd Street maintained the top spot for the highest price per sq. ft. @ $1,356.67 per sq. ft. It was also the highest priced sale in Jersey City downtown for July. The Shore Club at 20 Newport Parkway achieved the 2nd highest priced sale @ $1,280,000 for 2020 sq. ft. @ $634 per sq. ft. A 780 sq ft unit in the building sold for $688,000 @ $882 per sq. ft., also in July. Trump Towers, 88 Morgan achieved the 3rd highest price at $1,035,000 for 1500 sq. ft @ $690 per sq. ft. Another Trump unit achieved $735 per sq. ft. selling at $620,000 for 843 sq.ft. At The Mandalay, 20 2nd Street, Jersey City downtown, unit #2410 – 700 sq. ft. fetched $573,000 and $818.57 per sq. ft. If you need assistance with real estate in Jersey City downtown call Janice Hall at 201 232 8577.